Managed by the City of Madison’s Parks and Recreation Department, the Brown Gymnasium plays host to a number of local sporting events, dinners, exercise classes and local voting. 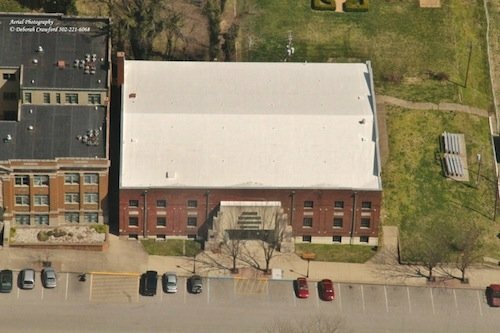 The Brown Gymnasium, which was constructed in the 1920s and refurbished after the Ohio River flooded in 1934, has a 17,000 sq. ft. roof that was protected by a 0.45 mil. Firestone TPO single-ply membrane. 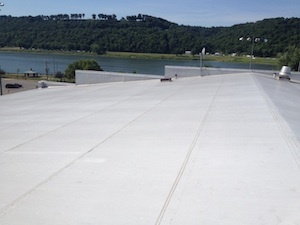 When building managers noticed leaks appearing near collector boxes, along parapet walls and around roof stacks and curbs, they called Exterior Pro for commercial roof repair. We met with the building managers to understand the basic scope of the problem, and then inspected the existing roof to fully identify the cause of the issue. What we discovered was the old TPO membrane was beginning to fail, but underlying insulation and wood decking were still in good shape. We recommended installing a 40 mil. 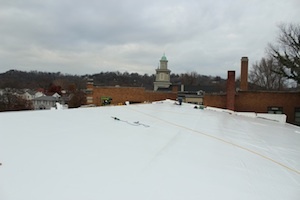 Duro-Last® commercial roofing system over top of the failing TPO membrane. 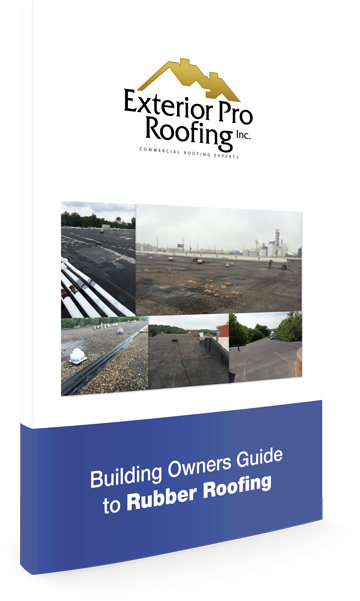 This would provide the necessary watertight seal over the entire roof, without a need for a complete tear off, insulation replacement, or interior exposure to the elements. In addition, installation would be much quicker, and save the City of Madison 30 to 50% compared to the cost of replacing the entire roof. Once given the green light, our contractors began to lay the new Duro-Last® membrane on the roof and over the parapet wall edges. In addition, we replaced old scuppers (or openings in a side wall for water drainage) with new, custom scuppers that had a weld-able skit attached for strong, watertight seals. We also removed old HVAC equipment and installed new drip edges along the gutters. The job was smooth, and completed on budget and on time.